Welcome to the MyStyleSpot Resources page! Here you can find lots of great tools great for shopping, finding deals, and earning cash back too. If you’re a blogger or thinking about becoming one, I have listed some of the most helpful tools I use regularly on my blog! These tools are even fabulous for brands and businesses too! Come back to this page often as I’ll be updating it regularly! In This Youtube Video, I go over some of my favorite sites that help me earn money or save it EVERY time I purchase something o line! Check it out HERE to learn more. Buy Pre-Worn Designer Fashion at a Fraction of the Price! Love designer fashion but don’t want to spend a fortune? Buy pre-loved designer fashion from SilkRoll.com. Available in tons of sizes, they have a HUGE inventory they’re updating every day! You can also send in some of your pre-loved fashion (whether designer or not) and earn credit, you can use to spend in the shop! Before I visit any site to shop, I visit Dealspotr first. I can find all great discounts, free shipping and more! They list so many new deals daily, you’re sure to find a deal on virtually any online site you shop! Membership is FREE! Sign up Here. This is another good site to get all the latest deals on tons of online shopping sites! They also offer cash back with each purchase! I’ve used Living Social a ton lately for finding dining and activities in the area to do, such as comedy shows, sushi-making classes, paint nite and more! All at steep discounts (up to 70% OFF!) as well as book a ton of massages around just $30 for 60 minutes! I even found an amazing deal on Reiki here and have started going regularly too! You can also shop here to, anything from fashion and beauty to home, and they have some really amazing travel deals as well! I love buying and selling gently used items on this site! It is a great way to save big bucks on designer goods or fashion for women, men, and children- that you don’t want to pay full price for! It’s crazy to not be signed up with a cashback site! Sign up with Ebates and earn cash back for every purchase! All you have to do is visit Ebates, sign in, then click the link to shop the online site you want to shop, and it will automatically add cash back to your count when you make your purchase! You can earn as much as 8-10% on some purchases and 4-5% on most sites! They also have an easy extension you can download to Chrome to track every online purchase you make and PAY you for shopping! Sign up is FREE! Sign Up HERE with my link and get $10 For FREE! Shop at home is also another great site for earning cash back every time you shop a store online! I’ve earned over $600 over the last few years from using Shop at home! I get a check in the mail everytime my account reaches $25! Membership is FREE! Join today and get a $10 bonus! This is another great site that offers both deals and cash back with purchase! Sign up Here! Mr. Rebates is a fairly newer site but membership is also FREE and you can earn cash back with each purchase! 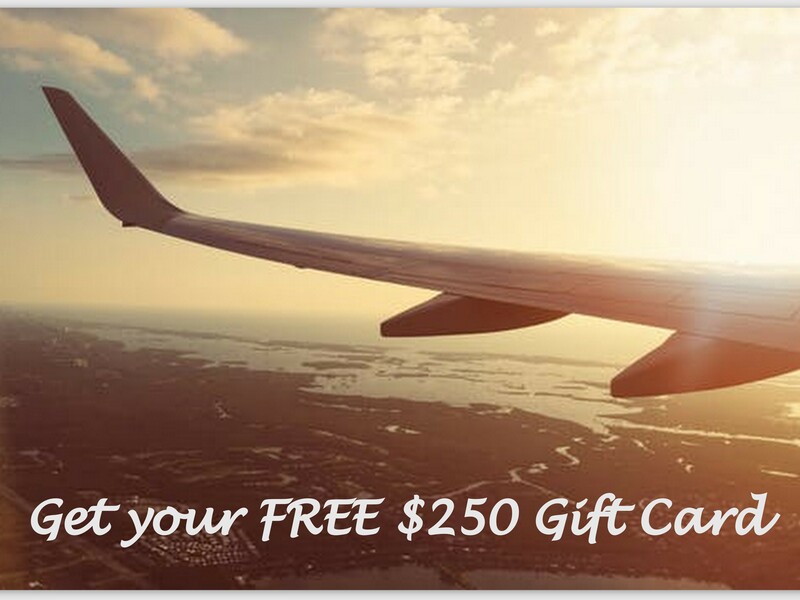 HERE is $250 to spend on travel and shopping from ETA Travel! I get to award my readers exclusively with $250 to try it out! There is no obligation to sign up, and you’re free to spend the $250 however you like and try out some of the membership benefits for FREE. Once the $250 is out, you can sign up for the annual plan if you’d like, but you absolutely don’t have to! ETA travel offers hotels, rentals, airline tickets and even shopping at a steep discount! HOTELS are Hundreds of dollars cheaper than you will find on Kayak, Priceline, Expedia, and Orbitz! And you can get these prices without even being a member, but if you do want to sign up for membership, you’ll SAVE EVEN MORE! Get your FREE $250 HERE – remember there is no obligation to sign up for membership! This money is FREE to spend on travel and shopping- and you’ll earn cash back too! Yep, you read that right, completely FREE! Read more on the Blog HERE. This is another great deal/cash back earning travel and shopping site with an easy to use APP from your phone! This is another great app that will track all purchases you make and then actually pay you when items go on sale later! I’ve earned lots of money this way from everyday purchases. They keep track for a month or so and when an item you bought goes on sale, they automatically contact the company for you and get you your savings! Similar to Paribus, this app works for both Iphone and Android phones and will help put money back in your pocket when items you’ve previously purchased go on sale. This works great if you shop Amazon frequently! Download the Earny App. BlueHost is a fantastic site with awesome customer service and the best pricing I’ve seen for a legit site! It’s just $3.95 a month and already powering millions of sites! Sign up HERE! This is the site I use for my blog. I’ve been on this domain for over 5 years now and it has been amazing! They have awesome customer service round the clock and it’s just $6.39 a month! Sign up HERE. I use UPWORK to hire freelance tech professionals for all kind of tech and blog related problems! It is easy to find fabulous professionals here, see their reviews, hire them easily and quickly and get your site up and running in no time! It’s completely affordable too! Most will do jobs for as low as $30- even for a few hours of work! I’ve used it many times! I also highly recommend Umar Farouk (you can search his name in the site) for all your blog, coding, and wordpress related issues! I’ve used him personally many times and he is amazing and I swear the guy can fix anything! AND he is always available and gets me up and running in no time! An email newsletter is a must these days! I shopped around for about a year before finding my favorite. MadMimi is one of the most reasonably priced and is super user-friendly and easy to use! I had no problem transferring over my 10,000 subscriber list and they have pre-made templates that make sending out a weekly newsletter super easy and quick! Texts are much more likely to be opened than emails – making it a profitable way to earn cash by sharing exclusive deals with your readers! Slicktext is super affordable – at plans for up to 500 texts a month for $27. You can even try it out for free if you have less than 50 subscribers! They make it super easy to send out texts, and the site is user-friendly and offers help in marketing and promoting your mobile texting club, like helping you offer giveaways for reader signups! You can even get a 1 on 1 walkthrough with one of their reps to learn how to navigate the whole site before using! One of the amazing things about being a blogger or influencer is how easy it can be to generate passive income just by sharing the affiliate link of some of your favorite brands and products with your readers! If you’re a brand, signing up for affiliates is a must! It’s a great way to help get the word out about your brand for a small fee! shareasale.com is by far my favorite site to pick up lots of affiliate links of tons of the best stores and brands! I’ve already made hundreds using this site! They also pay you generously (much better than most sites!) when other people sign up with your link too! It’s very user-friendly and super easy to navigate to sign up with brands and pick up banners and links to share on your blogs and social media. Shoperr Smart Links makes it easy to create a shop of your favorite products and share via social media or blog to your following! It’s very easy and quick to use and allows you to share impressive products in minutes! This is another great affiliate site – easy to use and lots of great brands to choose from! Rakuten is another one of my favorites with tons of new brands being added daily! By far, some of the best ways to find jobs are by signing up with sites that connect brands and influencers for campaigns. I’ve gotten most of my paid sponsorships this way (which I make about $5000 a month now doing). You need to have at least 5000 youtube subscribers to get video jobs on Famebit, but you can also score Facebook, Twitter, and Tumblr jobs here too! Thanks to the high requirement of followers on this site, it makes the pool of influencers much smaller and easier for those of us with enough of a following to land jobs! This is one of the best sites for finding TONS of jobs posted each day. The bad thing is that nearly every blogger is on Tomoson – making it more difficult to land jobs. In the beginning, when my prices were quite a bit lower, I nailed tons of jobs on Tomoson. Brands who post here seem to be looking for smaller, less expensive influencers and bloggers. You also don’t need to have a certain amount of followers per channel to apply for jobs here. Hype Market works specifically with Instagram, although I’ve approached companies on here and landed blog posts, videos, and other social media shares as well! LinkMoster.co.uk This is another great site that connects bloggers and brands for paid sponsorships! Sign up HERE today and start earning! Besides finding amazing shopping deals on this site, influencers and brands can also connect here in the Marketplace for campaigns! They set your wage according to your influence, so you may or may not like that depending on what you normally charge. There are a couple of amazing facebook groups I check daily for job postings. Most are in the U.S., although some offered are for U.K. You can also easily network with other bloggers in these groups, ask blogging questions, find other bloggers to collaborate, etc. If you’re like me, you’re always looking for the next big app or social media spot! I love using great apps as a blogger that help promote my blog. I also adore fun fashion and beauty apps that I can showcase my style on too! I ALSO love social media apps where I can interact with others, by being inspired by their own unique style and more! SelfieMark also has in-house fashion stylists (like me!) If you’re wanting a pro’s opinion on what top goes best with that cute striped maxi skirt! It is super fun to use, helpful, and completely addictive too! I know you’re going to love it! BRANDS: Be sure to check out the SelfieMark biz page www.selfiemark.com/business where you can get more sales and engagement with their fantastic polling solutions! Visit SelfieMark.com to download the app today! Everlance is a great app for tracking your mileage for your business. I use it to track shipping packages, driving for photo shoots, to buy product for sponsorships, etc. They offer a free version for those with less than 25 trips a month. It starts up as soon as you get moving and records the mileage and gives you the amount you will save on your tax return! Super Handy! Pocket Video is a fantastic app for creating and editing videos. I love that it easily lets you set up an Instagram video and gives you the time frame to do it – so no more guessing if your video will fit when you try to upload to instagram. It has really great editing features too and allows you to add your own music from your library as well! Later is a great app to use when you need to schedule an Instagram post. It lets you upload it there then reminds you when you need to make it live on IG. It’s super easy to then open up IG and post the image and text! They also email out lots of helpful Instagram tips in their newsletter each week too! Stash automatically saves your change leftover from making purchases so it makes saving and investing a breeze (you don’t have to set up this feature if you don’t want to). You can also set up weekly or monthly savings plans to keep you on track for saving and investing for retirement! I’ve been using it for a year and a half now and love it and have already saved up over $8000 in my Stash 401k. Also, get a FREE $5 to invest when you sign up here! Sunny is one of my favorite YouTubers who offers up amazing advice for growing your youtube channel – weekly! I’ve learned so many helpful tips from her that really work! Check out her channel HERE! Amazon isn’t going anywhere any time soon! Their reviews make them one of the most trustworthy sites to shop – because you’ve already read from 100 different people how the product worked for them! It’s easy to get started doing reviews and get tons of FREE product for helping sellers share your honest opinion about their product. Also sellers: I have a list of over 100 Amazon Reviewers who have signed up personally with me to do reviews, I’m happy to sell at $3 per name! Email me at Contact@mystylespot.net for more info! My name is Nancy, the marketing specialist for Amazon. I really impressed by how well you’ve done on Tomoson. I’m reaching out to you because I have a product that I think your audience would appreciate. Would you be willing to test and review our product like hair catcher, drinking straw, ice pack or outdoor string light ? We hope get more multiple streams of exposure or sales from it. We would like to send a free sample for you to test or give more extra charge, besides, provide coupon code 10-50% for your fans if they order it. I am sure you will be surprised by our new product and promotion. And this promotion will give you a good chance to bring your fans benefits. I’d be happy to discuss supplyiing a few extra for you to run a competition among your audience. Please let me know if you are inerested.